The care, custody or control exclusion appears in virtually all general liability and commercial auto policies. It eliminates coverage for damage to property that belongs to someone else but has been entrusted to you for some purpose. While care, custody, and control are separate terms, their meanings overlap somewhat. All are subject to interpretation. Policyholders, insurers, and courts may construe these terms differently. Care, custody or control exclusions are often relevant to bailed property, meaning property held by one person but owned by someone else. The person in possession of the property is referred to as the bailee while the owner is the bailor. A bailment does not involve a transfer of ownership. The bailee must return the property to its rightful owner when the bailment ends. 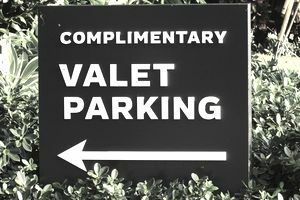 You own a restaurant that provides valet parking for customers' autos. You have leased a combine harvester to use in your farming business. You own an auto body shop. Your business has temporary possession of customers' vehicles for the purpose of repairing them. You own a fine arts restoration business. Your are inspecting a valuable vase, which a client left with you for repair, when it slips out of your hand. The vase falls to the floor and shatters. You own a cafe. Your espresso machine is broken so you have borrowed one from a nearby coffee shop to use until your machine can be repaired. In each of the above examples, you have someone else's property in your possession for a particular purpose. You must return the property to its owner when that purpose has been served. If the property is damaged before you return it, the owner might seek restitution by filing a property damage claim against your business. Three important points should be noted. First, the care, custody or control exclusion applies to personal property only. It does not apply to real property (land or buildings). (Damage to buildings is addressed in other parts of the Damage to Property exclusion.) Secondly, the exclusion refers to "care, custody or control," not "care, custody and control." This means that the words "care," "custody" and "control" are usually considered independently. Thirdly, the exclusion applies to personal property in the care, custody or control of the insured. In liability insurance, the insured generally means the insured party named in a claim or suit. A customer files a claim against your restaurant for damage his vehicle sustained while being parked by one of your employees. You return the combine harvester to the rental company after your lease has expired. The rental firm files a claim against your farm for damage the machine allegedly sustained while it was in your custody. A customer's vehicle is awaiting repairs at your body shop when it is stolen from your parking lot. The customer files a claim against your business demanding restitution for the value of the vehicle. A client files a property damage claim against your fine arts restoration business for the value of her vase. You accidentally destroyed the vase by dropping it on the floor. Your cafe's espresso machine has been repaired so you return the one you borrowed to the coffee shop. The coffee shop owner claims the machine was damaged while it was in your possession and demands restitution. You can protect your business against claims arising from damage to customers' vehicles in your possession by purchasing garagekeepers liability coverage. Damage to other types of property owned by someone else and in your custody can be insured under commercial property insurance. The ISO Business Auto Policy also contains a care, custody or control exclusion. The exclusion is located in the auto liability section. The wording appears below. Property damage or covered pollution cost or expense involving property owned or transported by the insured or in the insured's care, custody or control. But this exclusion does not apply to liability assumed under a sidetrack agreement. The care, custody or control exclusion eliminates coverage for damage to property (including vehicles) in your care, custody or control. The exclusion applies to property damage and pollution cleanup costs. Here are examples of excluded claims. You are driving a truck you borrowed from a friend to use in your business. You hit a patch of black ice and the truck skids into a tree, damaging the front end. You operate a computer repair business. You are using a company-owned truck to deliver a computer to a customer when you are involved in an accident. The customer's computer is destroyed. You are driving a rental car on a business trip when you accidentally rear-end another vehicle. The rental car is damaged in the accident. In the examples cited above, the damage to the truck, computer, and rental car would be subject to the care, custody or control exclusion. You can insure your business against damage to vehicles you rent or borrow by purchasing auto physical damage coverage for hired autos. Damage to property you transport in vehicles can be covered under inland transit insurance. The care, custody or control exclusions described above contain an exception for liability assumed under a sidetrack agreement. A sidetrack (also called a spur) is a short section of track that runs between a business establishment and the main railroad track. A sidetrack agreement is a contract between a railroad and a business entity in which the railroad allows the business to use a sidetrack. In return, the business agrees to indemnify the railroad for third-party property damage that results from the business' negligent use of the sidetrack.